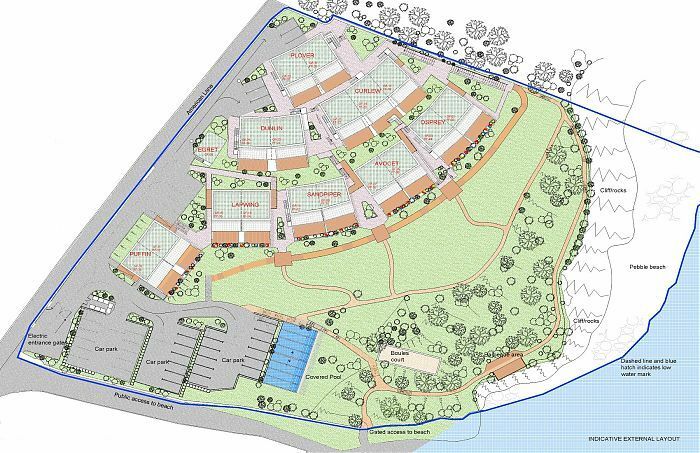 1 Osprey is nestled at the far end of the front row of this very popular & peaceful development close to Brixham Harbour. It was designed by the scheme architect for his own use, so features a few unique touches not found in other Cove properties. These including a large walk in shower (no bathtub to climb over) a bigger more spacious floor area overall, American style shutters on most windows and naturally one of the best locations in the whole development. Being a ground floor apartment with a walk in shower also makes it more accessible for guests with mobility issues. The Cove comprises 38 apartments sympathetically designed to blend in with the National Trust woodlands to the right. The South West Coastal Path runs behind the development. 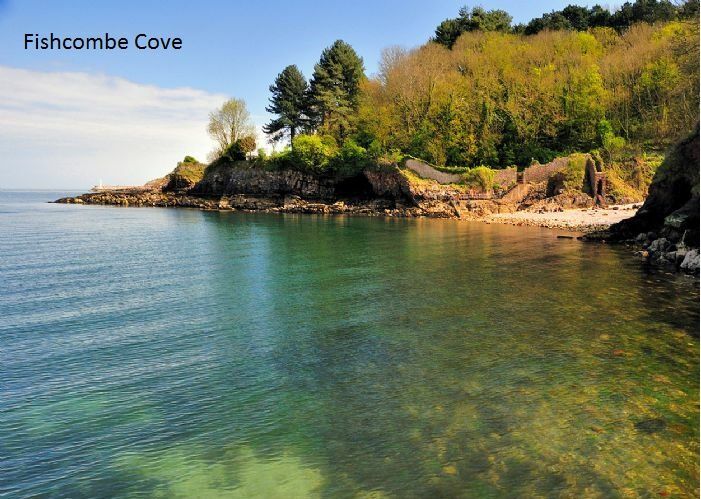 The Cove is a private gated development with on site open air swimming pool and direct private access to the pebble beach at Fishcombe Cove below. Every property has its own dedicated numbered parking space. 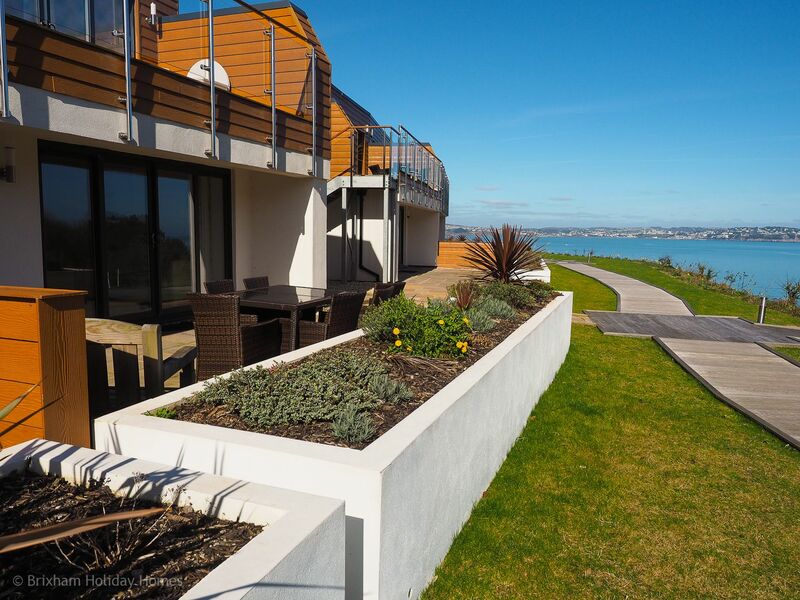 This beautifully furnished and decorated apartment features a large terrace with outside dining furniture for those wonderful alfresco meals spent taking in the sparkling blues and greens of Torbay. The ever changing vista of little sailboats, modern fishing trawlers, passenger ferries to Torquay, majestic gaff rigged heritage vessels, canoes and kayaks will keep you thoroughly enchanted during your stay. 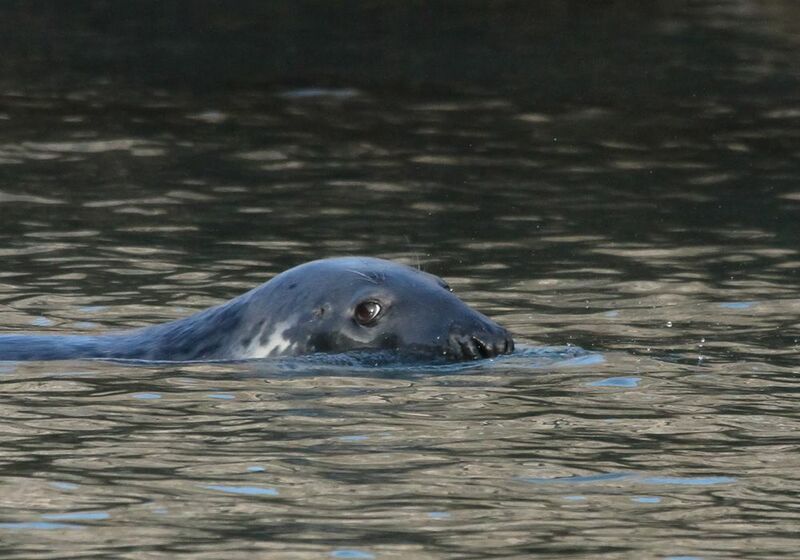 Don't forget to watch out for Sammy the harbour seal and the occasional pod of dolphins too. The on site swimming pool will surely be a hit with the children. Brixham harbour with its many shops, cafes restaurants and bars is a 15 minute walk through Battery Gardens. Hourly bus service to Brixham stops just outside the entrance. The accommodation briefly comprises a large open plan lounge / diner / kitchen with full height and width patio doors, 2 x 2 seater sofas, dining table & 4 chairs and a bright modern kitchen with every luxury including dishwasher, clothes washer / dryer and espresso machine. The fully tiled bathroom has a large step in shower and high quality sanitary ware. The master bedroom features a luxury double bed, built in wardrobe, TV and sliding patio doors with direct access to the terrace and American style shutters. The twin bedroom features 2 comfortable single beds, built in wardrobes, TV and American style shutters on the windows. Being at the end of the front row, Osprey 1 enjoys even more privacy than most apartments here, as there will be virtually no one walking past to interrupt the tranquilities. A dedicated onsite parking space is included as is wi-fi, access to the shared onsite swimming pool (May to September), quality bed linen & towels and all utilities. We have stayed before in a different apartment! It was ready earlier than expected which is always nice, very very clean, beautiful views, lovely walk into the harbour around the coast! Would recommend you wonÂt be disappointed! This is the fourth time my mother and I have stayed at Osprey 1. There is nothing I can fault about the apartment and itÂs location. Mum is elderly and loves the fact that she can just sit, relax and watch the world go by if she wishes from the living room which has beautiful coastal views. Customer service is great. I left a pair of shoes behind and these were returned to me promptly by post. We look forward to returning again in the future. A great apartment with stunning views across the bay. The only problem is the position of the property. It is a long way out of the town, probably at least a 30 minute walk and most definitely not a level walk. Also, the one-way system around Furzeham, the area of Brixham where the apartments are, is very convoluted and if you don't know the area you can go round in circles until you get the hang of it! It would have been good to have some instructions about how to operate the heating. Osprey 1 - The Cove, is a ground floor front row holiday apartment in Brixham. It is set in a peaceful location next to National Trust woodland and is a 10–15 minute walk through the woods to the picturesque Brixham Harbour with its many shops, cafes, restaurants & attractions. An hourly bus to Brixham Harbour, stops right outside the entrance.